Effectiveness is one habit we all need to learn. Already back in 1967 management guru Peter Drucker published his book "The Effective Executive", which is still as applicable today. 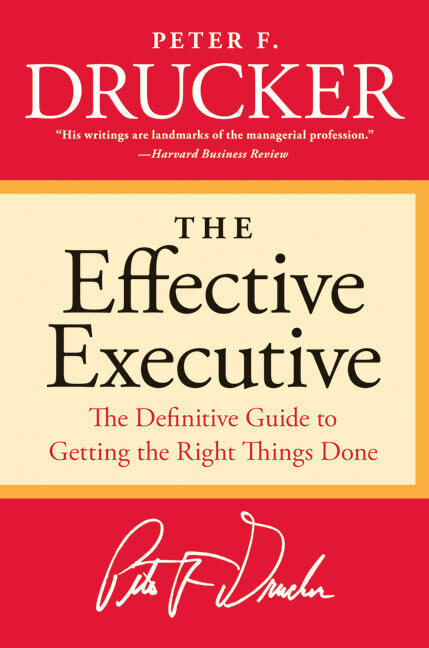 According to Drucker, effectiveness is a set of practices, meaning we all can get better at them by using some key rules. Knowing where your time goes. Track your activities, plan and review. Make sure your team does the same, so you can also monitor their performance and guide them. Focus on results and contribution. Whenever you measure accomplished tasks, also rate their results. One methodology for that is OKR, objectives and key results, where each objective is tied to a few measurable results. Building on strengths. It's much better if a person does one or a few things per week well, not that they finish a long list of unimportant tasks. Concentrating on first things first. You need discipline and focus, each hour, day and week. We often drift away to do small insignificant tasks, while we should focus on important strategic plans. Making effective decisions. It's all about right steps in the right sequence. What is needed are a few, but fundamental decisions. There's a good blog post by George Ambler going more into detail of each each of those you might want to read. 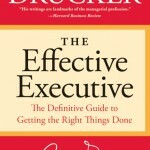 It's a good read for better more effective management and being a good leader for your team. We've also previously blogged on top ways for a productive week that focuses on all of above. If you need a systematic tool to manage your team productivity according to the principles above, try out Weekdone. We've built it exactly for both you as a manager as well as your whole team and company manage your time better and focus on what's important. Go get things done.